Welcome to this episode of the Real Fast Results podcast! Today’s special guest is Joel Friedlander, who is an award-winning book designer, blogger, and writer who speaks regularly at industry events. 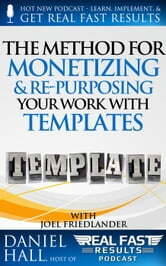 He is also the author of A Self-Publisher’s Companion and the co-author of The Self-Publisher's Ultimate Resource Guide. Furthermore, he’s the owner of the immensely popular blog, The Book Designer, and he was named by Writer’s Digest as one of the 10 top people to follow in book publishing. 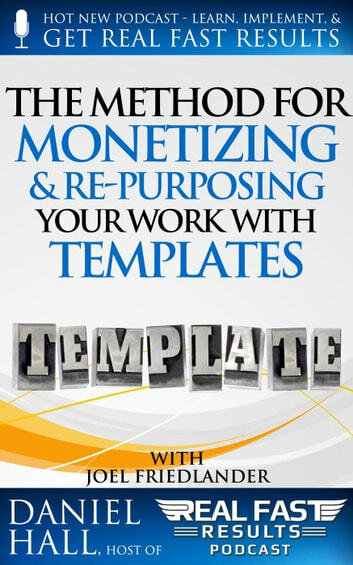 The great benefit of developing template-based products is expanding your ability to monetize on the work that you’ve already put in somewhere else. Or it’s creating another product very quickly. It’s also the advantage of being able to quickly create a product that could be massively helpful to a lot of people.